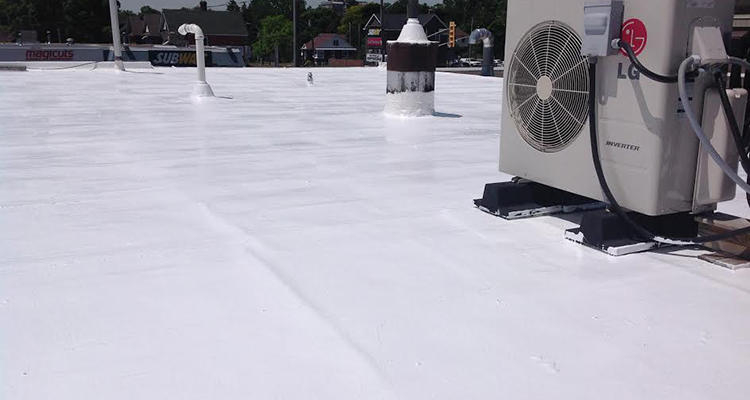 Armor DURA 500, is a liquid applied, high tensile, seamless roof membrane that provides permanent restoration for built-up roofing, rolled asphalt, EPDM, TPO, Hypalon®, modified bitumen, and other flat roofing surfaces. 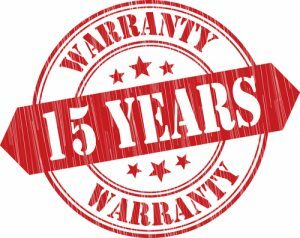 The product is a single part coating, based on new SEBS technology (styrene-ethylene-butylene-styrene), also known as thermoplastic elastomer (TPE), and is engineered to provide a service life of well over 20 years. Cold temperature shipping or storage will not harm this coating. 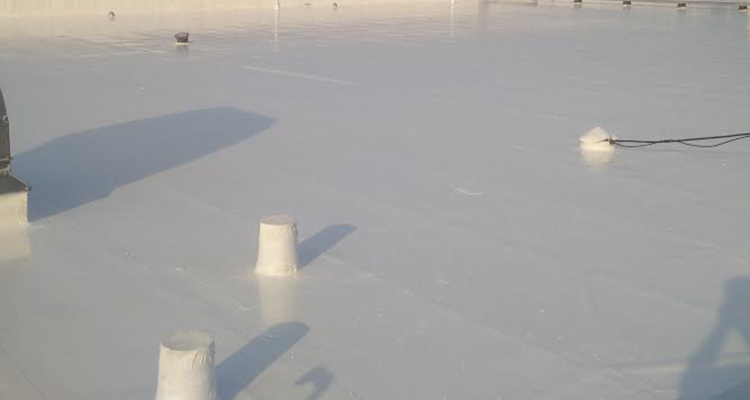 Armor DURA 500 is the ultimate, long life, seamless waterproofing solution for flat roofs. Dura 500 exceeds the elongation and tensile strength properties of most mechanically applied membranes. Armor DURA 500 cures to a tough, impact and abrasion resistant membrane with an amazing tensile strength of 1905 psi. Unaffected by ponding water, UV from sunlight or temperature extremes, Armor DURA 500 can be applied in humid or cold conditions, allowing for an extended application season. Uncured product will not wash off with overnight rain or heavy dew. Armor DURA 500 can be applied by high pressure airless spray, brush or roller. Armor DURA 500 exceeds US Energy Star and ASTM D6083 requirements for solar reflectivity, and can reduce air conditioning costs by as much as 30%, depending on building design and geographic location. 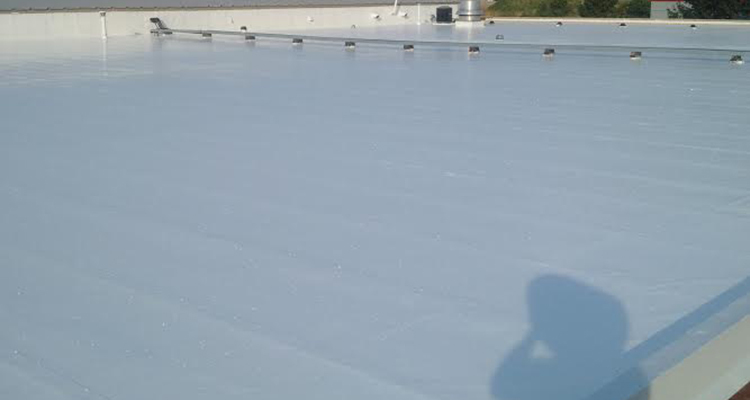 Heat stress on the roof structure is virtually eliminated. 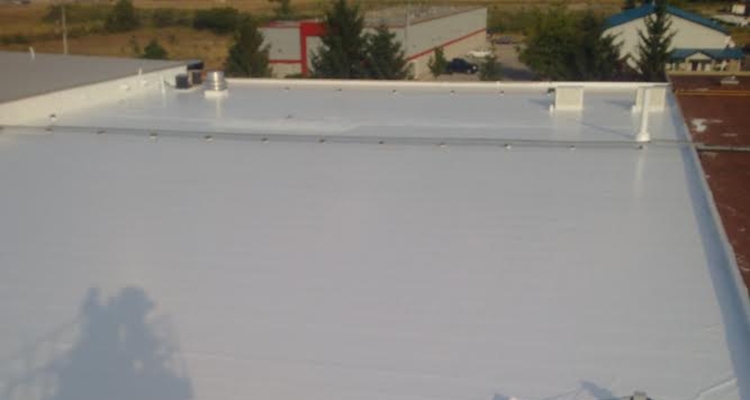 Flexible, reflective and impact resistant, Armor DURA 500 provides a highly cost effective solution to re-roofing. Reflected light can greatly improve solar panel efficiency on flat or low-sloped roofs. Most water-based acrylic coatings will absorb moisture and deteriorate in the presence of standing water or ice. Armor Dura 500 on the other hand, remains unaffected by these conditions and remains flexible, even in extreme cold temperatures. The product self-levels and forms a strong, seamless, membrane with over 90% reactivity. Armor Dura 500 can be spray applied after solar panel mounts are installed, assuring a tight waterproof seal.